The aim of the Circuitnoise project is to discover the vast field of random noises through electronic devices. 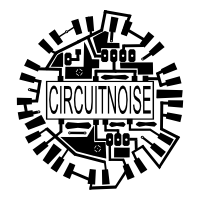 Nothing more nothing less... Circuitnoise is a random fluctuation in an electrical signal, a characteristic of all electronic circuits. Noise generated by electronic devices varies greatly, as it can be produced by several different effects. Thermal and shot noise are unavoidable and due to the laws of nature, rather than to the device exhibiting them, while other types depend mostly on manufacturing quality and semiconductor defects. Do you have some suggestions or wanting to book me?